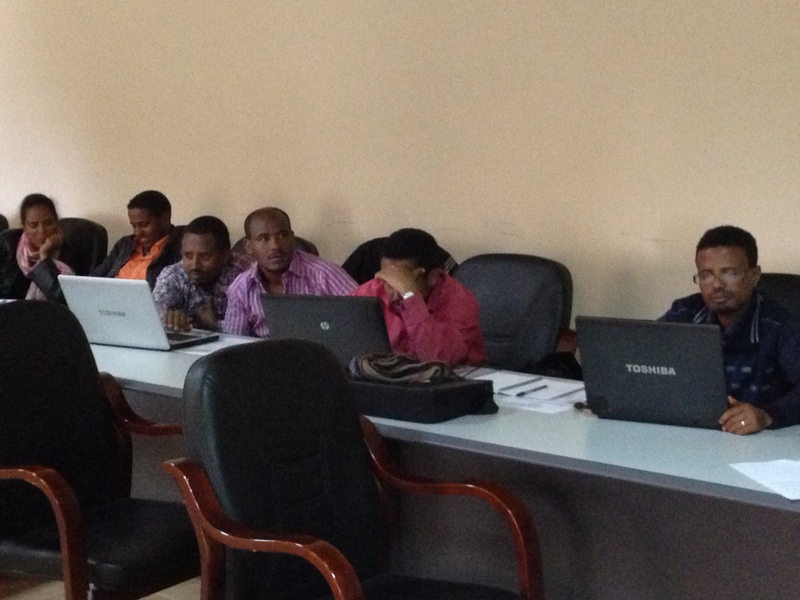 In Ethiopia, optometry is a bachelor’s degree, but I am here to teach six motivated students obtaining Master’s degrees in optometry. One purpose of their education is to expose them to optometry procedures that are practiced in the United States that are typically not practiced by optometrists in other parts of the world. Therefore, I teach them things that they cannot practice due to economic, social, and/or technologic constraints. However, the students are very interested in learning. Hopefully, they will also be able to practice these procedures in Ethiopia and teach future optometrists to practice them as well. 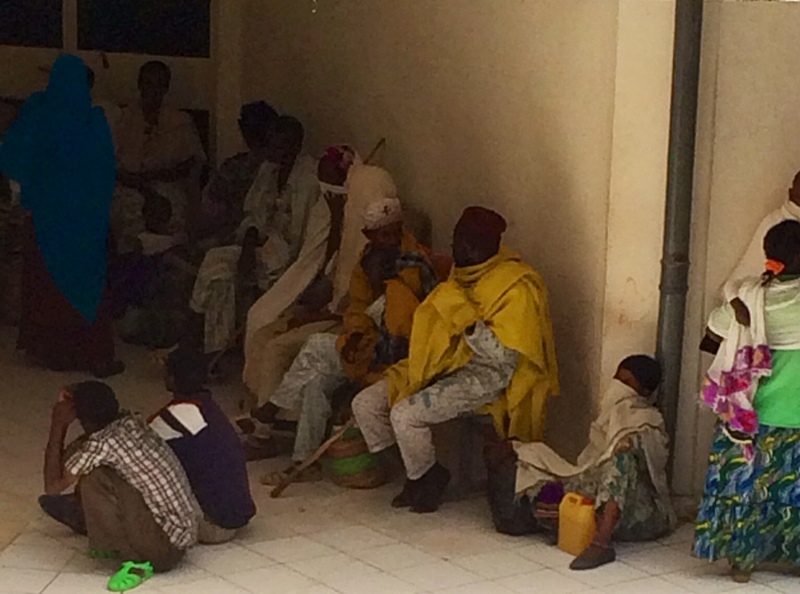 Below is a picture of patients waiting to have their eyes examined in the Vision Clinic. They wait in the courtyard of a three story building that appears old and decrepit in some areas and never completely finished in other areas. Patients waiting to have their eyes examined. 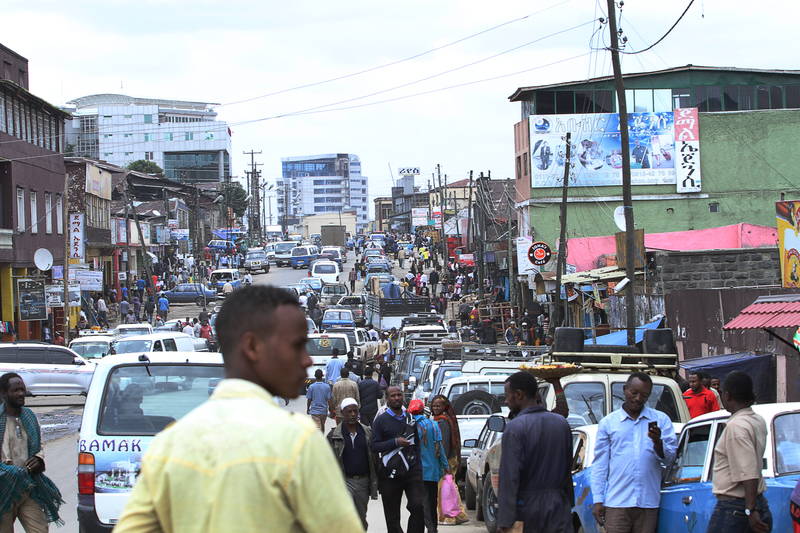 Ethiopian people are very patient, and waiting seems to be a natural part of their lives. They wait for eye examinations, they wait for cabs, they wait for something that never seems to appear. However, they never complain about waiting. It just seems to be a part of their lives. What I teach optometry students in two semesters, I have squeezed into one week. I don’t know how much of it actually “sunk in,” but I know that the students will certainly have more information than when I arrived. They are anxious for a final, but I didn’t know that I was to give one. I will prepare a final when I return and send it to them, but first I will prepare them for the final on my last day here. I want them to have a positive feeling about their experience, and I think a strong performance on the final would help to solidify that feeling. I have one more day to lecture. On Monday, I thought this day would never arrive. Now that it has, I look forward to going home but not with as much fervor as before. 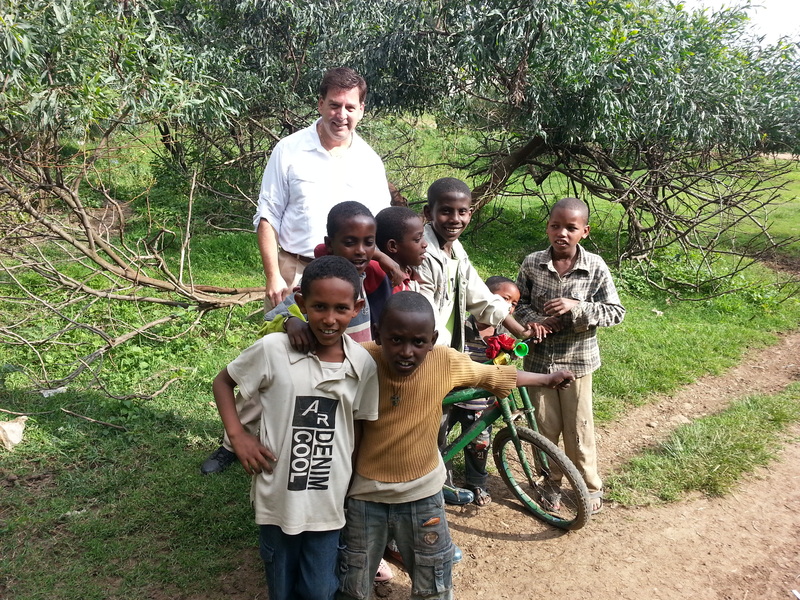 The people of Ethiopia are very kind and I will miss them. 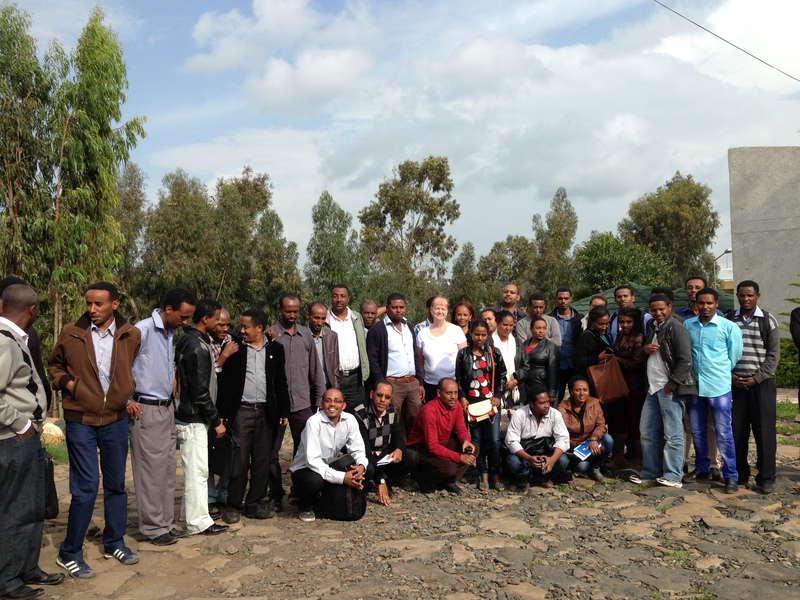 I am in Ethiopia to teach two courses at University of Gondar: advanced contact lenses; and children’s vision. The students have a strong basis in pediatric care, and they ask very intelligent questions. They are very patient with me when I ask them to repeat their questions. 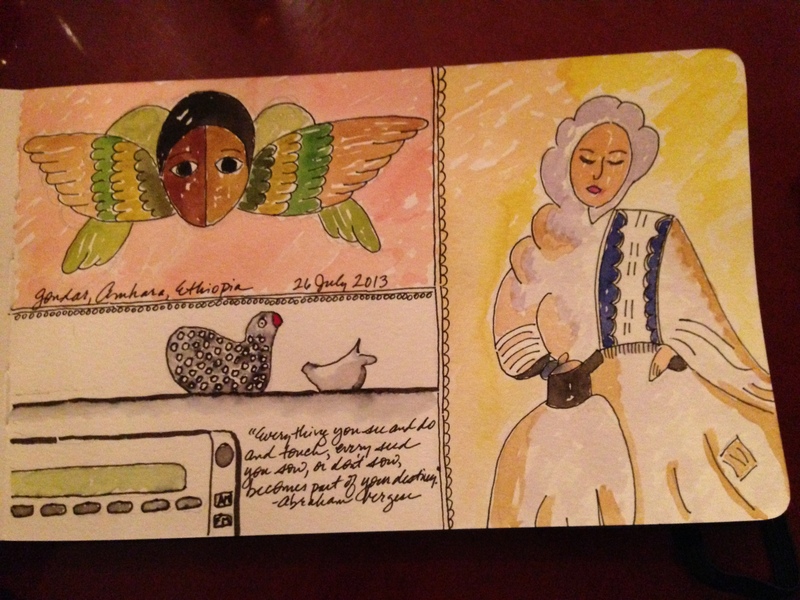 Traveling from the Gondar airport to my hotel, I went through an entire evolutionary cycle. Near the rural airport, several men tended their sheep and cattle grazing on the lush, green grass. No fences or borders exist, except those extended by men with canes and ever-watchful eyes. Soon, grass huts appeared, with little to adorn them or signify life nearby. I imagined that the same people tending the herds lived in these small, round huts, but I have no confirmation. Shortly, the rural life began to intertwine with modern life, as the livestock grazed along the roads infrequently traversed by fueled automobiles. Although vehicles existed, it seemed as though most people of Gondar walk from place to place as they generally carried walking sticks to seemingly help them traverse the hills and sometimes rugged roadside. As automobiles increased in frequency, so too did people. More people waited, as opposed to actively walked, alongside the road. They waited for one of the minivans or the three-wheeled motorized carts that would transport them to their location. Our bus continued to pass slower vehicles and be passed by faster ones on the hills, seemingly never concerned about the side of the road on which one drives. 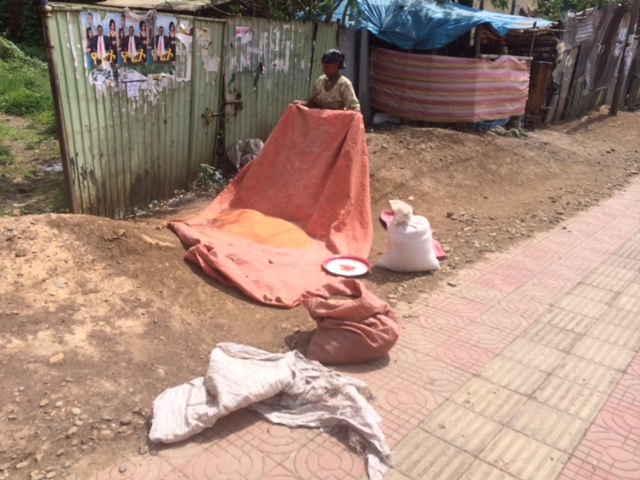 A woman preparing grain on the roadside. I was dropped off at my hotel, located across the street from the Vision Care Training Center and Fistula Clinic, where I lecture to six Master’s students about pediatrics and specialty contact lenses. The electricity only went out for 5 minutes during the morning lecture, so we were able to use technology to project PowerPoint slides on the wall. However, the projector was very touchy. 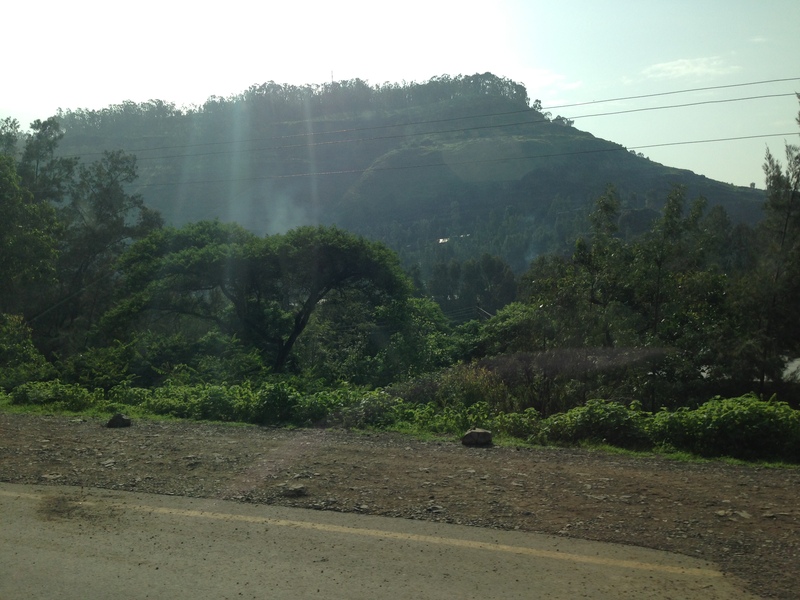 So, I have witnessed everything from farmers to exceedingly bright, enthusiastic students, and every bit of the evolution connecting the two, and all of this within the small boundaries of Gondar, Ethiopia. 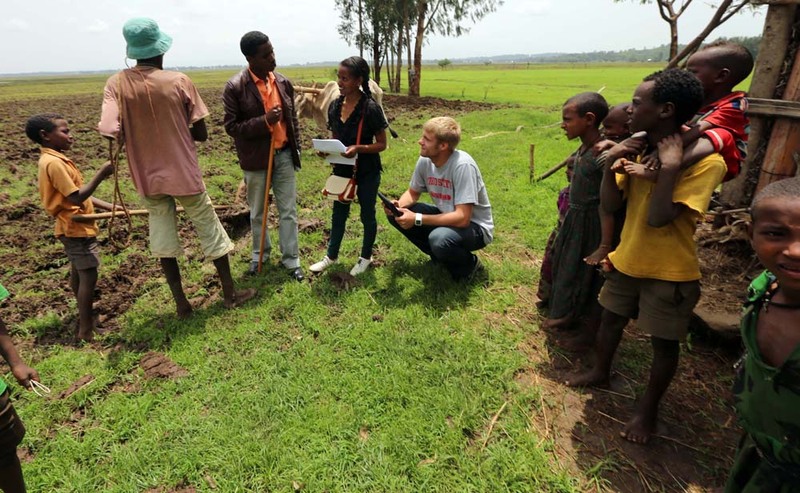 It has been wonderful working with all the Ohio State and Ethiopian faculty and students during the One Health Summer activity that run from June 7th to this week. First off, I am very much proud to be a Buckeye. Everyone from the Buckeye nation (Ohio State) showed wonderful professionalism throughout the Summer Institute. 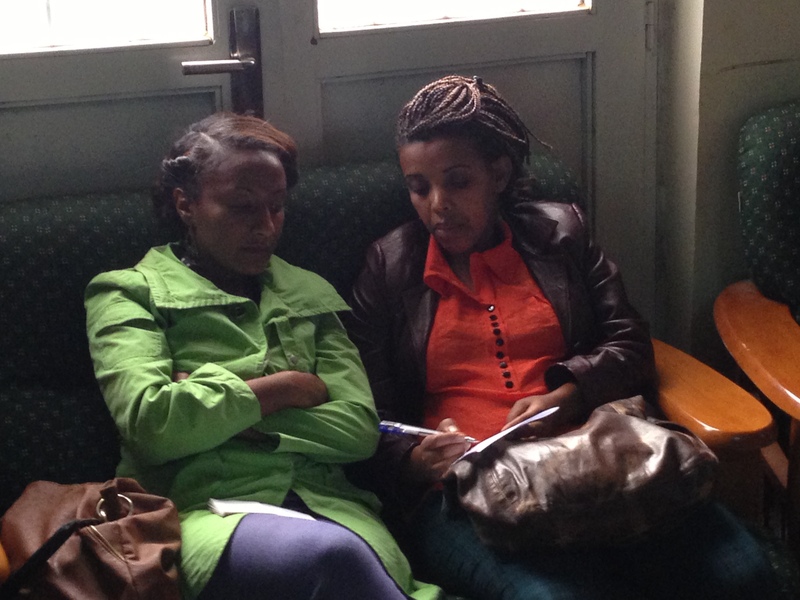 I heard all positive words from our partners in Ethiopia. Students and faculty from five of our seven health science colleges and also School of Environment and Natural Resources have all been great to work with. I am also proud to be born Ethiopian. I am sure all my colleagues tasted the ultimate hospitality and motivation both in classrooms and social settings and learned a great deal of variations in traditions. The commitments from both student trainees and partner administrators has been unsurpassed. 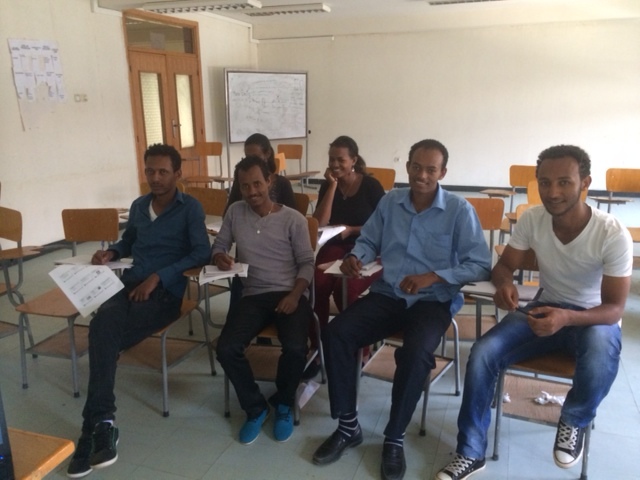 It gives me a great pleasure seeing the trainees’ eyes wide open in the various lectures, sharing the Ohio State students’ excitement for service learning (even some requested opportunities for next year before leaving Ethiopia), and reading all the blog posts from our students and faculty members. 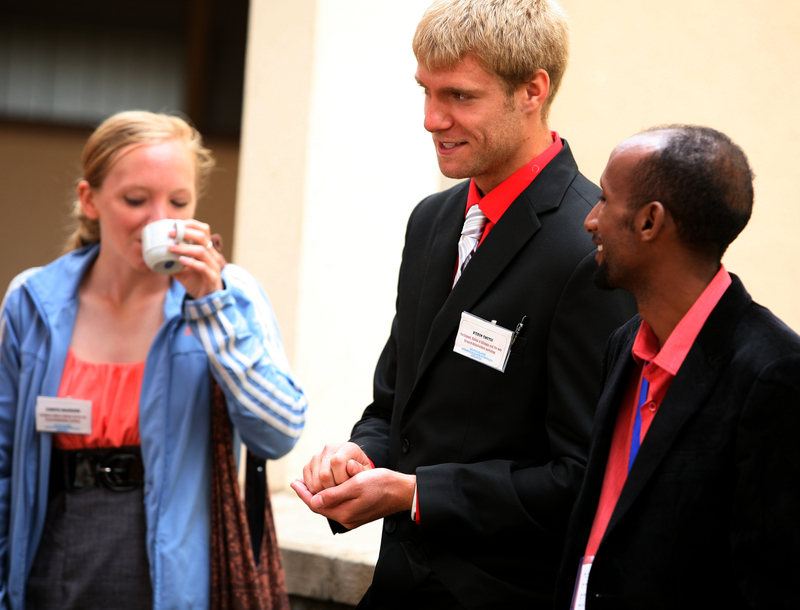 Importantly, personally, I also learned few more things about Ethiopia and partnership along the way. With respect to the scientific/ technical aspects of the Summer Institute, I am confident to say that we achieved the goals – in all aspects: coursework and trainings, pilot projects, and workshops. We were able to impact more than 200 professionals in these courses. And a number of scientific networks and new collaborative partnerships developed. Partner colleges were able to identify areas for further collaboration. 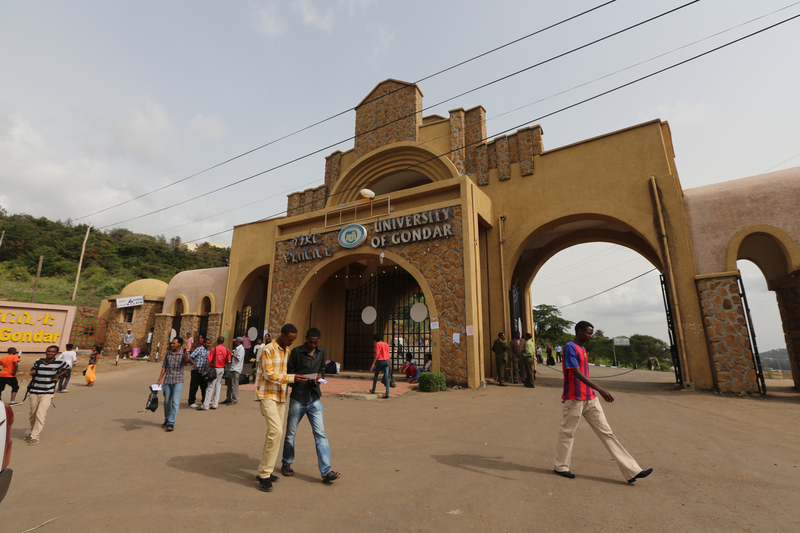 Both the Univeristy of Gondar (photo below) and Addis Ababa University partners as well as other institutes — such as the Ethiopian Health and Nutrition Research Institute (EHNRI) — were excited with the outcome. As we move forward, the Ohio State Health Sciences task force will resume its activity in full force. On behalf of the Ohio State Health Sciences One Health task force, thank you to all those who participated in the Summer institute! Some of the upcoming activities will include visits by the Ethiopia partner universities delegation; continued pilot projects on cervical cancer screen-and-treat, rabies intervention, electronic capacity-building, and service-learning clinical activities by neurosurgery and nursing teams. Please stay tuned and follow our blog. 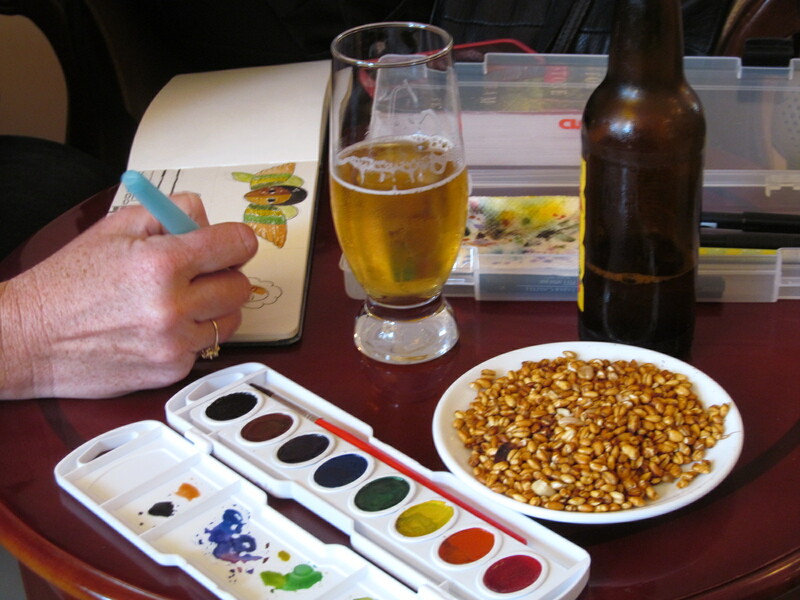 In my next post, I will share some specific thoughts and observations on these activities. 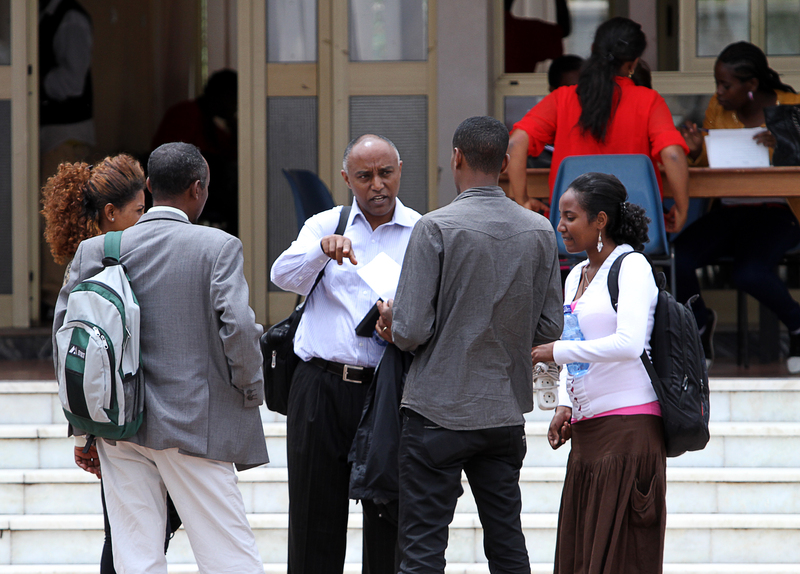 Today started with a tour of the University of Gondar main campus. 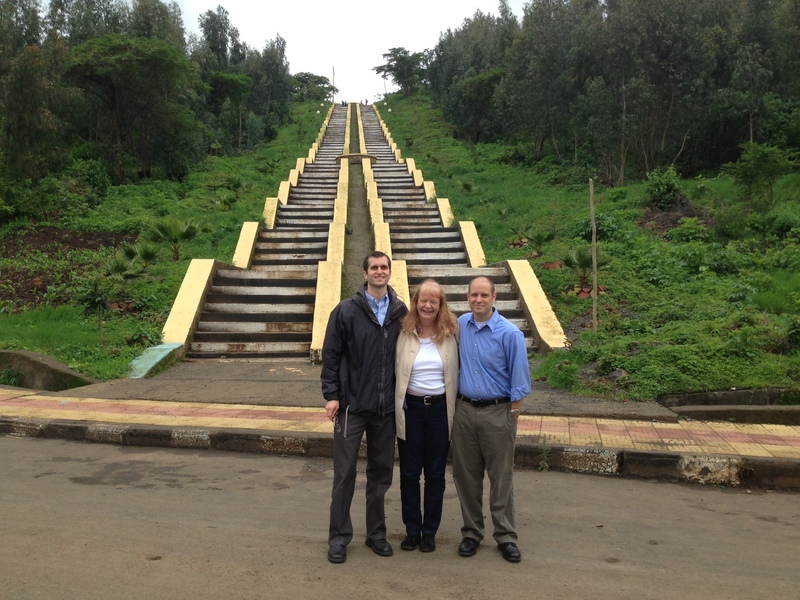 Dr. Emch, Dr. Zadnik, and Dr. VanNasdale at the foot of a long stairway on campus. The Summer Institute’s research ethics course chugged along today. I started late, mostly because I didn’t realize most of my students were in the courtyard just outside the classroom in the bright morning sunshine, waiting for me to begin speaking. I lectured on the tenets of the Declaration of Helsinki (OSU faculty—you all remember those, right?) and the ethical use of animals in research (thanks Donna McCarthy! 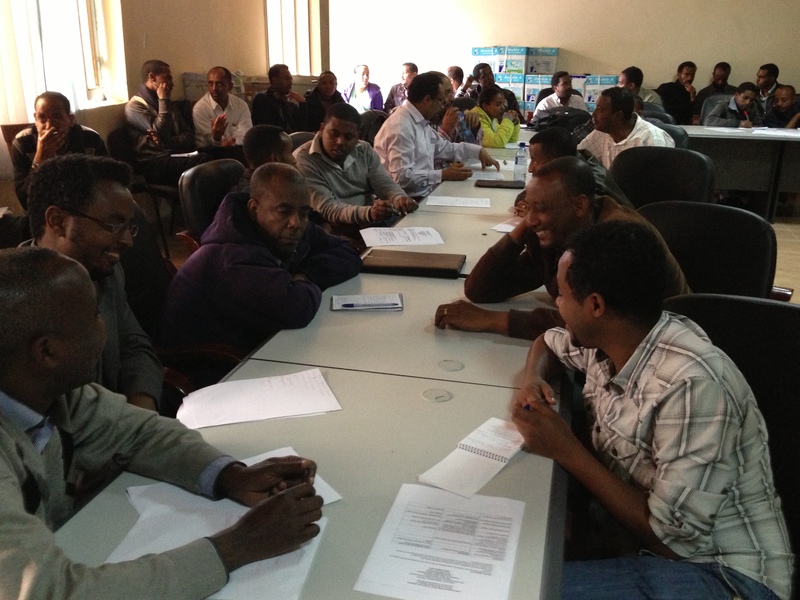 ), but the highlight turned out to be the case study discussions. I presented a case I’d heard at the 2008 Public Responsibility in Medicine & Research meeting. It weaves the tale of an imaginary city, Blovar, which is under siege such that its children are subsisting on an inadequate 400 calories. An entrepreneurial, mythical scientist who studies nutrition and brain function in children appears on the scene to conduct a purely observational study of the children. After carefully reading the case, the course attendees “went to town.” After their small group analysis of the case, I facilitated a discussion of the case. They didn’t need me. There were marked differences of opinion in the class. One attendee drew historical correlates, while another took the role of the Principal Investigator, cautioning the audience to assume that fellow scientists generally want to do a good job. The points made were lively, vehement even, yet collegial. All this before lunch! The afternoon’s soundtrack was a thunderstorm of biblical proportions that hammered the roof of the classroom and lit up the sky. We all raised our voices in tune with the rain and created a chorus, celebrating the hard, thoughtful work of teaching and learning research-related ethics. reporting of results to an industry sponsor and the other an accurate analysis of a case of subtle plagiarism but plagiarism nonetheless. Tomorrow, the class tackles animal care and use in research and biorepositories (thanks to Donna McCarthy and Mark Merrick and their lecture materials). 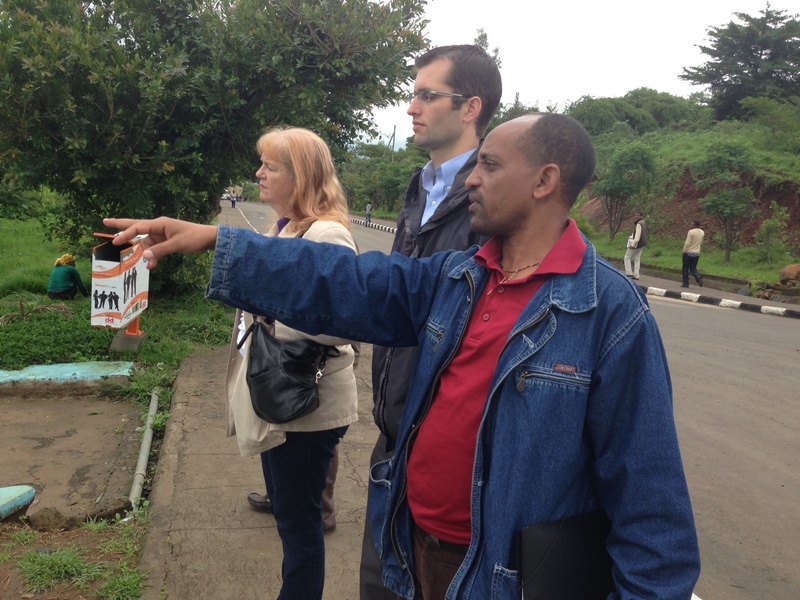 The transition from Addis Ababa to Gondar was ably assisted by advice from Dr. Jodi Ford from the College of Nursing, who taught research methods at the University of Gondar earlier in July.